Rome is the capital of Italy and the country's largest and most populous city, with over 2.7 million residents, while the population of the urban area is estimated to be 3.46 million. 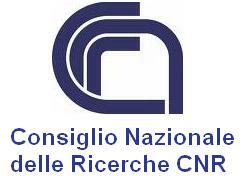 It is located in the central-western portion of the Italian Peninsula, on the Tiber river. Rome's history as a city spans over two and a half thousand years, as one of the founding cities of Western Civilisation. It was the centre of the Roman Empire, which dominated Europe, North Africa and the Middle East for four hundred years from the 1st Century BC till the 4th Century AD. Rome has a significant place in Christianity and is the present day home of the Roman Catholic Church and the site of the Vatican City, an independent city-state run by the Catholic Church as an enclave of Rome. Of all the monuments in Rome, the Colosseum thrills the most. It was here that gladiators met in mortal combat and condemned prisoners fought off hungry lions. This great symbol of eternal Rome still excites the imagination as you'll see from the hordes waiting to get in. In the evening, the most popular activities locally are eating and the evening passeggiata. This splendid Italian activity consists of a leisurely stroll around the streets, people-watching, greeting acquaintances, pausing for a drink or an ice cream. Rome evenings are heavily oriented towards the outdoors. A long drink outside a bar on one of the pretty medieval streets in the centre is one of the most pleasant experiences Rome has to offer. 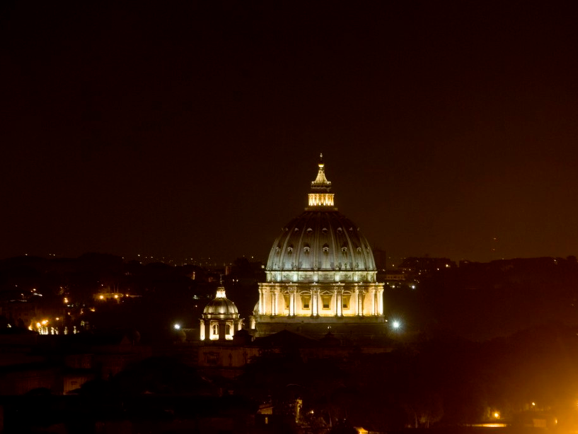 As the night comes, Rome will show you a lot of opportunities of entertainment. You can stroll along the cobble stoned streets of Trastevere area (just a few steps away from the Tiber River) with an ice cream in your hand. You can decide to sit in a cafe overlooking Campo De Fiori and watching life goes by with a glass of chilled white wine or you can choose to dance the night away in one of the many clubs in Testaccio, the hot spot of the Roman movida. You can mingle in the University area of San Lorenzo, with its population of students and countless pizzerias, pubs and wine bars or, in the summer time, you can even move to Ostia, the beach town at just 20 kilometers from Rome, ready to party with your feet in the sand and a mojito in your hand in one of the many clubs under the stars. The possibilities for great entertainment will be infinite. Combining architectural innovation with perfect acoustics, Rome's around €140 million auditorium has proved a popular and critical success since it opened in 2002. Comprising three concert halls set around a 3000-capacity open-air arena it hosts huge international names in classical, pop, rock and world music, and puts on themed festivals celebrating anything from flamenco to circuses. Since its foundation in the 19th century, Teatro dell'Opera has continued to stage magnificent productions, many of which have been truly historical. In fact, the first performance of Puccini's TOSCA took place as part of Teatro dell'Opera's 1899-1900 season. Rome's major classical-music organisation dates to the 16th century when it was founded by, among others, the composer Palestrina. The academy's programme includes a world-class symphonic season - featuring superstar guest conductors - and short festivals dedicated to single composers. Rome hosts the Cinecittà Studios, the largest film and television production facility in continental Europe and the centre of the Italian cinema, where a large number of today's biggest box office hits are filmed. The 99-acre (40-ha) studio complex is 5.6 miles (9 km) from the centre of Rome and is part of one of the biggest production communities in the world, second only to Hollywood, with well over 5,000 professionals from period costume makers to visual effects specialists. More than 3,000 productions have been made on its lot, from recent features like The Passion of the Christ, Gangs of New York, HBO's Rome, The Life Aquatic and Dino De Laurentiis' Decameron, to such cinema classics as Ben-Hur, Cleopatra, and the films of Federico Fellini. Founded in 1937 by Benito Mussolini, the studios were bombed by the Western Allies during the Second World War. In the 1950s, Cinecittà was the filming location for several large American film productions, and subsequently became the studio most closely associated with Federico Fellini. Today Cinecittà is the only studio in the world with pre-production, production, and full post-production facilities on one lot, allowing directors and producers to walk in with their script and "walk out" with a completed film. This laid-back club in Rome's eastern suburbs has established itself as one of the city's hottest. If you fancy a blast from the past, the Saturday 'Screamadelica' night dishes up classic 1980s pop, while Wednesday is for hip-hop and electronic music. There are also regular live concerts, modern art exhibitions and film projections. A popular, unusually spacious enoteca in Trastevere, with little painted tables and chairs inside and out. A glass of wine starts at around €4 and there are over 500 from which to choose, with a long menu of good if overpriced snacks to accompany them. 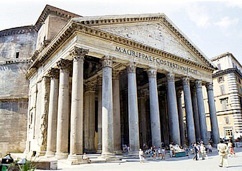 Marcus Agrippa's Pantheon is one of the world's most sublime architectural creations: a perfectly proportioned floating dome resting on an elegant drum of columns and pediments. Built in 27 BC, and rebuilt by Emperor Hadrian in 120 AD, it is one of Rome's best-preserved ancient monuments. Its extraordinary dome is the largest masonry vault ever built. You don't need to be religious to be bowled over by this architectural overstatement - you just need to be appropriately clad (no shorts, miniskirts or bare shoulders). The basilica's portico features a mosaic (c 1298) by Giotto from the original 4th-century building, while the red porphyry disk inside the main door marks the spot where Charlemagne and later Holy Roman Emperors were crowned by the pope. From above, Piazza San Pietro looks like a giant keyhole. The square's creator, Bernini, described the double colonnade as 'the motherly arms of the church'. He'd planned for the square to gob-smack pilgrims as they emerged from the tangle of medieval streets, an effect spoilt when Mussolini bulldozed Via della Conciliazione through the area. Caligula shipped in the central obelisk from Heliopolis, and it was later used by Christian-culling Nero as a turning post at his chariot-racing circus. 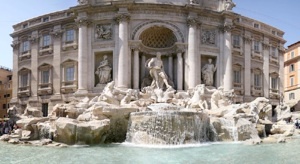 Rome's largest and most famous fountain, Fontana di Trevi was completed by Nicola Salvi in 1762, and immortalised by Marcello Mastroianni and a frolicking Anita Ekberg in Fellini's La Dolce Vita . This extravagant baroque work takes up most of the piazza, appears to meld into the palazzo , and depicts Neptune's chariot being led by Tritons with seahorses - one wild, one docile - representing the moods of the sea. The favourite flirting ground of Roman teenagers, Piazza di Spagna and the famous Spanish Steps (Scalinata della Trinità dei Monti) have been a magnet for foreigners since the 18th century. In the late 1700s the area was much loved by English on the Grand Tour and was known to locals as er ghetto de l'inglesi (the English ghetto). It's busy from early morning until the small hours. Lined with Baroque palaces, this vast, beautiful piazza was laid out on the ruins of a stadium built by Domitian. In Renaissance times, it would be flooded on festive occasions so mock naval battles could be staged. Used for festivals and sport, including jousts, until the late 15th century, it was then paved over and turned into a marketplace and public square. Noisy and colourful, 'Il Campo' is a major focus of Roman life: by day it hosts a flower and vegetable market, while at night it becomes an open-air pub, beloved of hard-drinking students and young Romans. 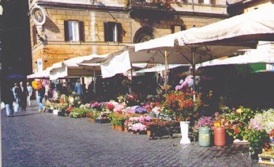 The square's commercial character dates to the late 15th century, when the transferral of the city market to Piazza Navona revitalised much of what is now the centro storico. Forming one side of Piazza Farnese, Palazzo Farnese is one of Rome's most impressive Renaissance palazzi . It was started in 1514 by Antonio da Sangallo the Younger, continued by Michelangelo, who added the cornice and balcony, and finished by Giacomo della Porta. Nowadays, it's the French Embassy and is open only to visitors who've booked a place on the biweekly guided tour. 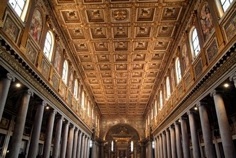 basilica's coffered gilt ceiling in commemoration. Boasting some of ancient Rome's most spectacular sculpture, the Capitoline Museums (Musei Capitolini) are quite magnificent. The world's oldest national museums, they date to 1471, when Pope Sixtus IV donated a number of bronze statues to the city, forming the nucleus of what is now one of Italy's finest collections of classical art. The collection is today beautifully housed in Palazzo Nuovo and Palazzo dei Conservatori on Piazza del Campidoglio. With its chunky round keep, this castle is an instantly recognisable landmark. Begun by Emperor Hadrian in 128 AD as a mausoleum for himself and his family, it was converted into a fortress for the popes in the 6th century AD. It was named by Pope Gregory the Great in AD 590, after he saw a vision of an angel above the structure heralding the end of a plague in Rome. Hadrian built the Ponte Sant'Angelo across the Tiber in AD 136 to provide an approach to his mausoleum, but it was Bernini who managed to bring it to life. In the 17th century he and his pupils sculpted the figures of angels that now line this pedestrian-only bridge. The three central arches of the bridge are part of the original structure; the end arches were restored and enlarged in 1892-94 during the construction of the Lungotevere embankments. To the south of the Palatino and surrounded by car-choked roads, the Circo Massimo (Circus Maximus) is now little more than a basin of rather forlorn grass. In the 1st century, however, this was Rome's biggest stadium, a 250,000-seater capable of holding a quarter of the city's entire population. The 600m racetrack circled a wooden dividing island with ornate lap indicators and Egyptian obelisks. The church of Rome's French community since 1589, the Chiesa di San Luigi dei Francesi is one of the capital's art heavyweights. 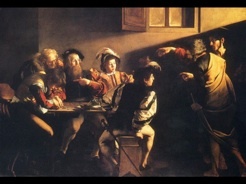 Built by Domenico Fontana and designed by Giacomo della Porta, its interior is a master class in baroque bombast, with no less than three paintings by Caravaggio - the so-called St Matthew cycle. The magnificent centrepiece of the Campidoglio, Michelangelo's 16th-century piazza is considered by many Rome's most beautiful square. Commissioned by Pope Paul III and designed by Michelangelo in 1538, it took more than a 100 years to build and was completed in the late 17th century. There are various ways to reach it but the most dramatic is via the Cordonata, the graceful staircase that leads up from Piazza d'Aracoeli. Dominating the northern side of this stylish piazza, Palazzo Chigi has been the official residence of the Presidente del Consiglio, Italy's prime minister, since 1961. The building, off limits unless you've booked a visit, was started in the 16th century by Matteo di Castello and finished more than a 100 years later by Felice della Greca. Trastevere's focal square is a prime people-watching spot. By day it's full of mums with strollers, chatting locals and guidebook-toting tourists; by night it's the domain of foreign students getting their first taste of la dolce vita and young Romans out for a good time. Rome is certainly not lacking in places to eat and the quality of dining is good on average, but Rome's true characteristic is the richness and variety of its culinary offer. Choice includes the traditional flavours of various family neighbourhoods such as Testaccio and the refined cuisine of the Roman Jewish tradition found in the Ghetto, in which the multi-ethnic culture has been enriched in recent years with new smells and flavours. Pizzerias are in abundance, in particular 'pizza al taglio' - slices cut on demand often with steaming mozzarella. Then, there are 'tavole calde' which are often rather rustic but offer good value and tasty food. Roman cuisine is essentially of working class origin and for the most part uses simple ingredients. Dishes have been enriched with the traditions of the people who have lived in Rome and its surroundings over the centuries. Dishes are often quick yet heavy and at the same time very tasty. Those known around the world are rigatoni alla pajata and coda alla vaccinara, which originated from the necessity of butchers to use everything. Romans' favourite meats are poultry and goat and this tradition has lead to dishes such as the famous pollo coi peperoni (chicken with peppers), which is often made for the mid-August 'ferragosto' celebration. Other local dishes include abbacchio allo scottadito (lamb cooked on the bone and eaten with your hands) accompanied by puntarelle con acciughe (a type of chicory served with anchovies) or carciofi alla giudia (Judean artichokes). The milk from 'agro romano,' the farming area near Rome makes very good cheese, best known as pecorino romano, which is famously eaten with fava beans. To complete the dining picture, there are wonderful desserts, for instance maritozzo con panna (bun with fresh whipped cream) or frappe (sweet wavers) and castagnole (glazed chestnuts), which are traditional during carnival. Rome's taxi drivers are no better or worse than those in any other city. Some will try to fleece you, others won't. To minimise the risk, make sure your taxi is licensed (it'll be white or yellow with the letters SPQR on the front door), and always go with the metered fare, never an arranged price (the set fares to and from the airports are an exception to this rule). Rome's buses and trams are run by ATAC (800 43 17 84; www.atac.roma.it). The main bus station is in front of Stazione Termini on Piazza dei Cinquecento, where there is an information booth (7.30am-8pm). Other important hubs are at Largo di Torre Argentina, Piazza Venezia and Piazza San Silvestro. Buses generally run from about 5.30am until midnight, with limited services throughout the night on some routes. Rome's metro system is of limited value to visitors, with the two lines, A and B, bypassing much of the centro storico. The two lines traverse the city in an X-shape, crossing at Stazione Termini, the only point at which you can change from one line to the other. Trains run approximately every five to 10 minutes between 5.30am and 11.30pm (one hour later on Saturday). However, until 2008 or 2009, Line A is closing for engineering works at 9pm every night. To replace it there are two temporary bus lines: MA1 from Battistini to Arco di Travertino and MA2 from Viale G Washington to Anagnina. 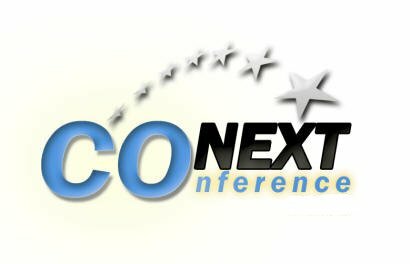 Queries about this website to Moritz Steiner.